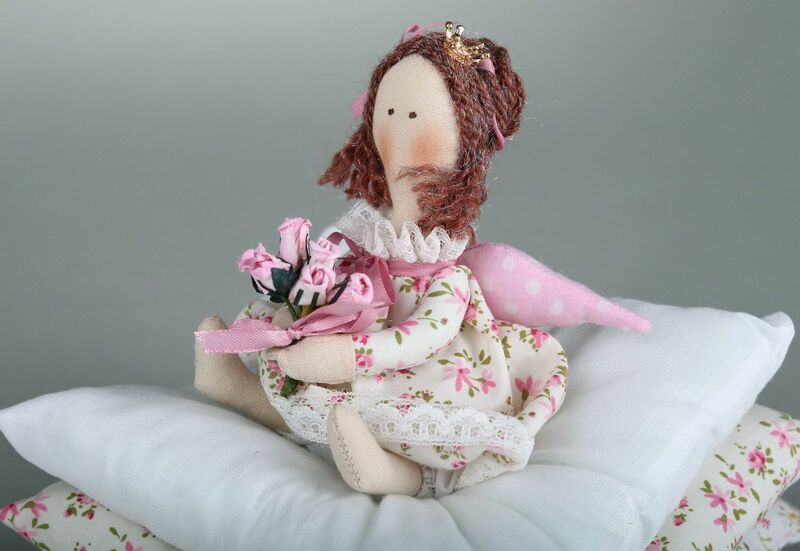 MADEHEART > Tilde doll "The princess on a pea with flowers"
Tilde doll "The princess on a pea with flowers"
This Tilde doll "The princess on a pea with flowers" is an interior doll that will be interesting for collectors of author&apos;s dolls and for all connoisseurs of fine things. 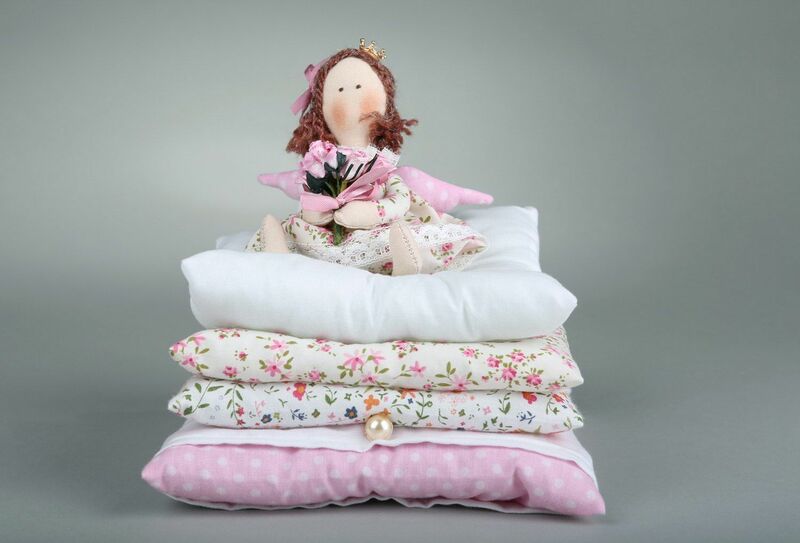 All my toys are made from natural fabrics, such as chintz, cotton, lawn, American and Japanese cotton and are filled with holofiber. 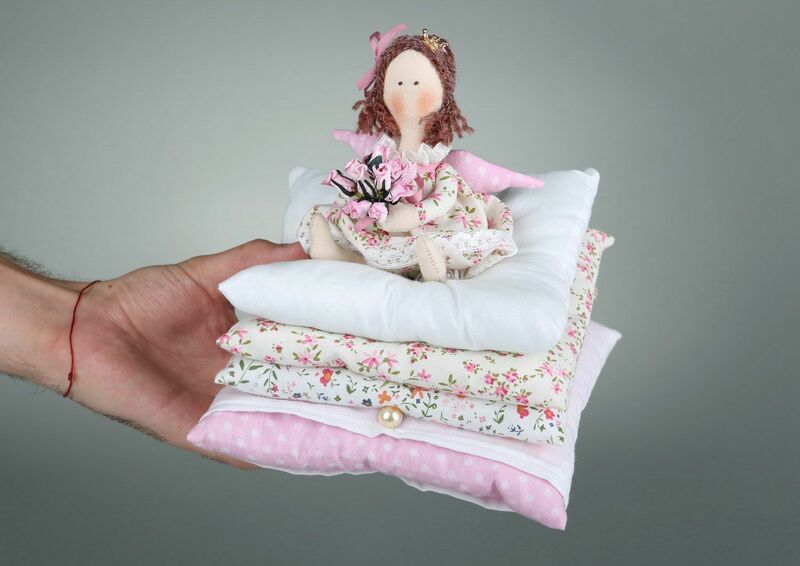 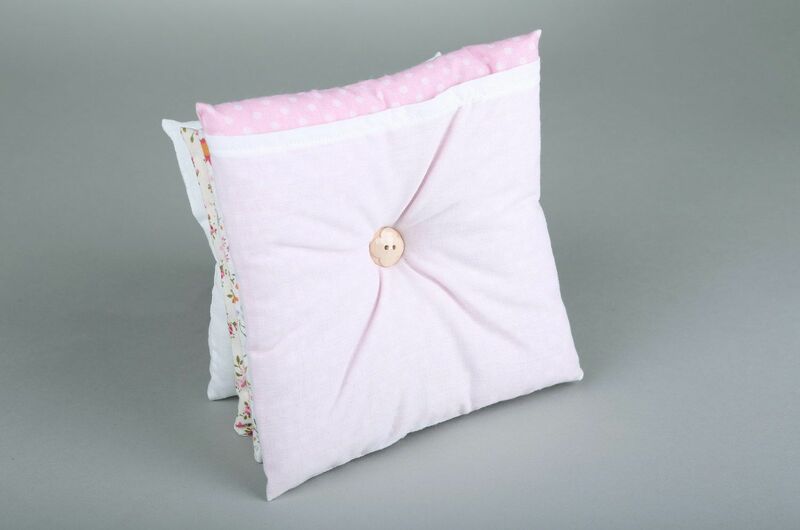 Dresses, jewelry and toys are sewed by hand with the use of cotton lace and vintage buttons.